Download and Review This Book--Free! 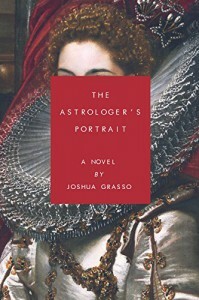 I'm looking for a few reviews for my new comic-epic fantasy novel, The Astrologer's Portrait. As much as I love to write reviews, I literally/ethically/psychologically can't write a review of my own work. So to entice the great readers on Booklikes, I've made it free to download on Amazon this Monday-Wednesday. I might eventually offer a few copies as a Giveaway down the road as well, but the benefit here is that everyone wins a copy. I just released the book a week ago, so it has no reviews and only a dozens or so confirmed purchases. For those of you who love fantasy, YA fiction, folklore, magic, classic literature (not that mine is, but it's inspired by such greats as Austen, T.H. White, M.R. James, etc.) or simply an unusual tale, please consider downloading a copy. As you all know, without reviews people tend to avoid books the way a certain Mr. Darcy avoided a partner who seemed "slighted by other men." Here's a quick blurb: Prince Harold has fallen in love with a portrait, which he much prefers to his real bride-to-be. 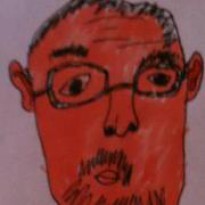 However, the portrait may be a hundred years old, and only the greatest sorcerer in the land can verify her existence. Unfortunately, Turold the Magnificent is currently on trial for maliciously impersonating a person of quality and despoiling her family history. Harold gets him off on the condition that they locate his lady love before his wedding to Sonya, who vows to kill him on their wedding night. Along with his faithless Russian servant, Dimitri, the three steal off to locate the true identity of the portrait—only to confront a curse much older than the portrait. To dispel the curse the prince must lead a revolution, fall in love with his wife, and release the centuries-old hands of Einhard the Black, who are eagerly awaiting their latest victim. Thanks for reading--and now, back to my own reviews!